New crisis hits the Palestinian Authority: TWELVE PEOPLE have been killed and over 120 injured in gun battles between Hamas militias and striking government employees in the Gaza strip, writes Amnon Cohen. THE NEWS of the World (NoW), which suffered a sensational defeat at the hands of Tommy Sheridan in his defamation case against them in August, has unleashed a massive new offensive against him, writes Philip Stott International Socialists, CWI Scotland. Joe Higgins' speech "tore Taoiseach [PM] apart"
THE GROWTH of a 'resurgent' Taliban in Afghanistan is bloodily proving that the occupying forces can do nothing to solve the underlying social and economic problems that the poor masses of the country face, writes Greg Maughan. 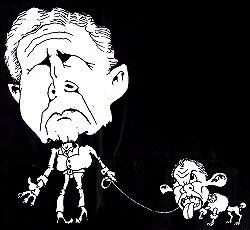 Bush's 'war on terror' fuels terrorism! LAST WEEK'S Labour Party conference was the last that Tony Blair will attend as party leader and prime minister. Since 1997, Blair's New Labour have overseen massive cuts in the NHS, further privatisation of council housing, writes Greg Maughan. ON 1 OCTOBER, new EU legislation banned age discrimination in the workplace for workers under 65, in what some reports are calling: "The biggest shake-up of workplace laws for 30 years", writes Sean Figg. UCL and Brunel Socialist Students had a big problem with the student magazine this year - there weren't enough of them at the freshers' fairs, writes Ben Robinson. No fees, end student poverty: BLAIR'S 'LEGACY' and Brown's promises for more of the same were applauded at Labour Party conference. But new students across the country are now facing the bleak reality of trying to live and study in New Labour's Britain, writes Matt Dobson Socialist Students national co-ordinator. "Our campaign saved our maternity hospital"
STAFF EMPLOYED by Tees Esk and Wear Valleys NHS Trust were recently told that they will not be sponsored to attend training courses that would have given them registered nurse qualifications after three years' university study, writes John Malcolm, chair UNISON Tees and North East Yorkshire health branch, personal capacity. ISSUE AFTER issue of the socialist has featured the crisis in the health service under New Labour. Dozens of hospital trusts have declared cuts as a result of their "going over budget". Newly trained nurses fresh from college are being told there are no jobs for them, as the trusts declare redundancies, closures and cutbacks. NHS SOS: "A MATTER of Life and Death", handwritten on a placard. 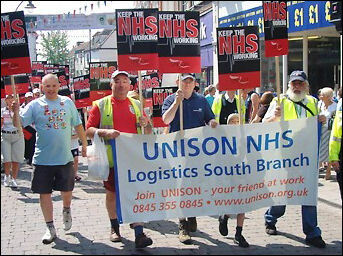 That summed up the message of the 30 September march and rally against the panic cuts and eventual downgrading of hospital services in Epsom, Surrey, writes Nick Kirk Reading Socialist Party and Surrey County UNISON branch. 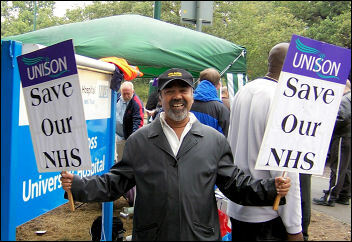 Our NHS not for sale! Build for the demo and lobby on 1 November: HEALTH CUTS are happening all over the country. 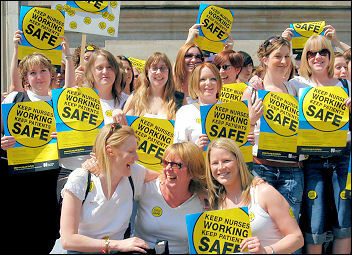 According to NHS chief executive David Nicholson, they "will not hurt". But they are hurting, writes Lois Austin. A FINANCIAL scandal involving Ireland's Prime Minister, Bertie Ahern - "Bertiegate" - dominates Irish politics and threatens to bring down the rightwing coalition government, writes Niall Mulholland. 25,000 coal miners on strike: MINERS EMPLOYED by the 'Mittal Steel Temirtau' company in Kazakhstan (a branch of the international corporation 'Arcelor Mittal') went on strike on 25 September, Members of Socialist Resistance (CWI Kazakhstan) write. IN 1972, David Bowie sang: "News had just come over... Earth was really dying". He was wrong, we're still here. But for how long? NASA scientists now say the Earth is warmer than at any time for the last 10,000 years. Dave Nellist writes. Dundee: TOMMY SHERIDAN'S whirlwind tour of Dundee on 3 October was a good day for 'Solidarity - Scotland's Socialist Movement'. He spoke to 50 students at Dundee University, where 13 showed interest in joining Solidarity writes Harvey Duke, International Socialists (CWI Scotland). The media tend to depict students as lazy but, with the TUC reporting that 630,718 full-time students work in part-time jobs, the stereotype is a bit out of date, writes Sarah Sachs-Eldridge. Demonstrate for free education on 29 October: THERE'S one issue that weighed heavily on every fresher's mind this year - not their course, not their social life, and not even whether or not to join Socialist Students! That issue is fees, writes Sarah Sachs-Eldridge. ABOUT 250 angry protesters hit Huddersfield's streets on 7 October, dismayed by the sham consultation that has taken place over local NHS cuts, writes Iain Dalton. Get organised! Join the march on parliament! 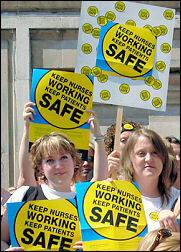 WORKERS AT Whipps Cross hospital in east London have won an important battle. They have scored a victory against the privatisers and the service-cutters and shown that organisation and struggle can win. 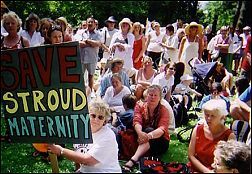 How can we build an effective campaign to defend the NHS? "Action to defend our birthright"
Sri Lanka: Is peace possible?